A guy wakes up in an unfamiliar hotel room, laying in a bathtub partially filled with ice, and a terrible pain in his lower back. He’s rushed to the emergency room, only to find that one of his kidneys has been surgically removed–apparently without his knowledge and presumably for illicit sale on the black market. I’m sure many of us have heard some variation of this chilling tale via a ‘friend of a friend’ which has been propagated by thousands of people, but with dubious conformity to any facts. An urban legend, or more accurately, a contemporary legend, is a kind of folklore that gets passed around in third, fourth or fifth hand accounts, modifying as it circulates and accruing credibility (at least by some listeners) as it spreads. Some well-known ‘truths’ about building a blog audience are like urban legends. If they go unchallenged, the truth becomes ambiguous, or worse, these inaccurate concepts become the conventional wisdom of the day, passed as fact from one rookie blogger to the next. 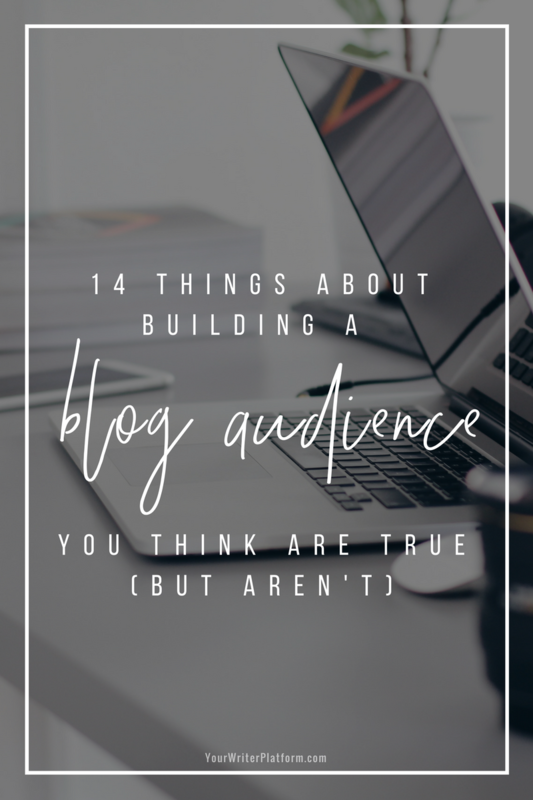 Let’s dispel some of these non-truths, so that you can begin to build a blog audience without folklore getting in the way. There are well over 164 million blogs online, and that number is growing daily. Can you even fathom the statistical odds of your sparkly new blog being found online? The odds of someone reading one of your posts? To the end? And actually taking the time to leave a comment?! Even great content needs distribution. And sharing your posts with the few followers you’ve managed to scrape together on your social media accounts doesn’t really count. To get noticed, you must develop a blog post strategy that is considerably more substantial than just Tweeting the link or sharing it on Facebook. Here are two great resources on ways to ramp up your blog post promotion: Ana Hoffman’s personal cheat sheet on blog promotion, and Andreea Ayers helpful infographic on 30 Ways to Promote Your Blog Posts. Want to side-step the learning curve and grab a blueprint that shows you how to successfully promote your blog posts, get more traffic, build engagement, and increase social shares? Consider ‘Blog Post Promotion: The Ultimate Course’ developed by Kristi Hines of Kikolani.com. This one is often a deal breaker for many authors, because the level of commitment that is required to create compelling content every single day for your author website is unfathomable for most (including me). But guess what? It’s not necessary to blog daily to build your blog audience. In fact, how often you blog isn’t nearly as important as how well you do some other things like meeting the needs of your audience, engaging with your subscribers, or crafting remarkable content. Derek Halpern of Social Triggers advises we use his 80/20 rule: spend 20% of your time creating share-worthy content and 80% of your time promoting it. Derek also states that he built an email list of almost 27,000 subscribers while writing on average less than three blog posts per month (from March 2011 to April 2012). Does this mean that you can leave your blog or author website unattended for weeks and still hope to gain some traction? Nope. But it does mean that your priorities should shift from quantity to quality content creation, with the lion’s share of your time spent ensuring every post gets seen by as many relevant people as possible. So for you rebellious writers out there who have refused to set up your author blog based on the fact that blogging daily is for *crazy* people–you’re out of luck! Now, you’d be crazy not to start blogging to build your audience. Just like doctors make the worst patients, so too can writers make the worst bloggers. Feature writers, corporate copywriters, speech writers, fiction writers, nonfiction writers and so on, all require different skill sets. And although most writers should have a distinct advantage over non-writers when it comes to producing written web content, sometimes unintentional arrogance can get in the way. Writing for the web has it’s own set of rules, and often writers make the mistake of assuming that their offline literary prowess will grant them favour with their online readers. Your best bet is to do your research and take the time to learn the nuances of forging the ‘perfect’ blog post. Use your writing savvy to captivate your online readers, not to impress your English professor. Although there is a myriad of written blog post types to play with, consider exploring other proven alternatives and a adding a multimedia approach. Not only will incorporating video, audio, images and text in different formats make the experience for your current readers more interesting, but different media will help reach and entice new visitors from other sources (like YouTube or iTunes, for example). This urban legend is sooo believable and therefore, a hard one to let go of. Once you see your Twitter, Facebook, Google+ or website visitor numbers start to creep upwards, it becomes somewhat completely addicting! After experiencing some results, you’ll do almost anything to keep the tally moving up–the body count rising–even if the relative value of these ‘fans’ deteriorates or is non-existent (i.e., they have no interest or connection to you or your work). Although in some respects, large numbers of followers may look impressive (to your peers or perhaps to publishers), it creates a false sense of accomplishment for you, the author, and a level of expectation that can’t possibly be met (a Twitter following of 20,000 and only 15 book sales 🙁 ). Instead of building numbers, build super fans. Super fans are worth their weight in gold. These people are usually some of your earliest (and most enthusiastic) supporters. They liberally share your content with their networks, connect with you regularly via email and comment often and positively on your posts. Identify these people and give them extra special attention and care. Build loyalty, trust and a connection with your newly forming blog audience in all your interactions with them. 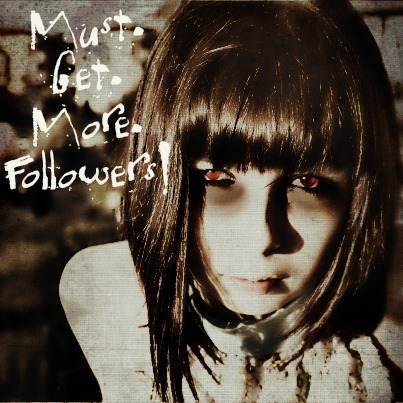 Get your fix by creating a community of connected, interested and highly engaged admirers; not by racking up high follower numbers. Then, when it comes time to promote your new book, you’ll have both devoted customers and an eager promotional team ready to spread the word. This is a tricky point, as perspective plays a big role. What might seem like an unreasonable sum to one author, might be a fair and prudent cost of doing business for another. Plus your expected return on investment will also determine what is deemed a reasonable expense. But consider this: how many businesses (and your writing career is your business) allow you to work from home, have flexible hours, be your own boss, have limited risk–but unlimited earning potential–and have a start-up cost of a few hundred dollars? Technology has made the marketing, promotion and even the distribution of your book feasible and relatively affordable. 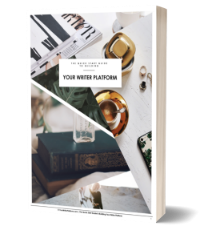 There are loads of free or low cost ways to promote your book or services and build your writer platform, and you can set up a self-hosted WordPress blog in minutes. So, for approximately $500/year, you can set up your blog (a.k.a. your Author Platform Headquarters) and can begin building a blog audience or fan base that ‘buys what you’re selling’. Sounds like an attractive business proposition to me! Another myth, like #4, that is difficult to dispel. The problem in this case, however, is improperly managing expectations. Starting and maintaining a blog takes considerably less time than it should for the results you can achieve. However, many writers see blogging as the side-gig-to-the-side-gig. Most are working at their ‘real’ job, and squeeze writing time out of the small holes in their schedule. Blogging and building an audience happens in whatever time is left after that (if at all). But the expectation is that blogging returns be immediate and bountiful–even with relatively little effort. And why not? Articles abound on the internet promising exactly that. Frustration levels rise, interest wanes, and once promising author websites slide into obscurity. Which is too bad, because blogging can be one of the most effective ways to use your limited marketing time and establish your expertise. Mindset matters. A positive attitude is a must. If you’re not convinced that building a popular blog is a sure-fire way to increase your authority and influence, establish your brand, earn a book deal or sell more books, then it’s easy to grumble about the time and effort that’s required. But if you are convinced that your blog can help you accomplish these things, then it becomes easier to move other items down your list in favour of building your blog audience. Not every writer has the financial means to drop five G’s or more to develop their author website and craft a monster of a marketing plan. But consider the hours you have put into your latest writing projects or manuscript. What is the cost of having only 17 people purchase your work? Or worse, having only a tiny number of people actually read your book because they had no compelling reason to do so? The impression your website or blog leaves on visitors is very important to your overall branding and promotional strategy. It doesn’t have to be a Maserati or a Ferrari, but it does have to get your readers from point A to point B in style (See #5 for realistic/reasonable costs). There are of course some exceptions, but in many cases hosting your author blog on a free site like WordPress.com, Blogger or Typepad sends this message about your brand: a scoop of unprofessional with a lack of commitment on top. Probably not what you’re going for, right? Building your blog audience is already challenging enough, so don’t hamper your efforts by using a free site. Top quality content is just the price of admission nowadays. Saving your best content for when you have ‘X’ number of visitors, pretty much guarantees you’ll never get to ‘X’ number of visitors. It may be that the internet–like the universe–requires balance, because the shift that occurred in #2 on our list (that released us from the curse of daily blogging), has forced another shift: from producing mediocre content to remarkable content. But, don’t despair! The savvy writer can use this shift to his or her advantage. This untruth still prevails, so where many new bloggers are holding off on creating epic content for when they have an audience, you can shoot out of the gates with some of the most spectacular posts the world wide web has seen to date! And because your content is so useful, interesting and share worthy (and you’re spending 80% of your allotted time promoting it), your audience begins to build quickly–and hopefully–exponentially, as the word-of-mouth marketing momentum kicks in. While I do believe that imitation is an important part of learning a new skill, and that you can’t escape being influenced and formed by your experiences, a ‘me-to’ strategy won’t help you stand out from the pack. Attracting a blog audience necessitates the creation of your own angle; your own authentic style. Watching, learning and adapting what works for popular bloggers for your own site is an effective approach, but your new found visitors won’t stick around unless you give them an irresistible reason to stay; something they can’t get from the popular blogger. So, find your unique point of difference. Let it permeate through your author brand, your blog and your marketing. Your results may not be the same as another author or blogging expert, but they will be rewarding. You totally fell for this one, didn’t you? The bigger the audience, the bigger the pay cheque, right? Sadly, you can’t earn income off of celebrity alone. At some point you have to turn a visitor into a customer, and it requires more of a plan than just wickedly useful posts and your own brand of charm. But what it mostly comes down to is the connection between you and your audience. The tighter the connection (i.e., the more trust and engagement), the easier the conversion from visitor to loyal customer. If you consider how difficult it is to maintain a close relationship with tens of thousands of people, your tight group of under 3000 fans (or super fans), might even be more profitable than a popular blogger with 20,000 followers with whom he has less engagement. As well, sometimes a large audience can produce lazy marketers. When even a small amount of promotion and effort still results in fairly significant results, people may end up doing less than they could–which impacts earning potential. Am I encouraging you to limit the size of your blog audience? No. What I’m saying is: stay hungry and stay engaged. The money will come if you are working harder and smarter than the other guys. Despite the cliché, what you know and who you know are still both very important, but the game changer nowadays is actually who knows you? You need to beat obscurity off with a club! And to do that, you need to make it your business to identify influencers that can help champion you to their readers and networks. These people will only advocate for you if they know you, and can trust that it won’t come back to bite them. Make a list of the key influencers you want on your side, like authors, experts, bloggers, editors, journalists, tv/radio hosts, podcastors and so on. (Even include your dream influencers). Identify what you can do to help them. Check out Derek Halpern’s slightly more brusque, but comparatively more detailed version, which includes a video walkthrough and a PDF with examples: How to Email Influential People. With a wildly successful internet marketing website, several profitable niche sites, an ebook, a podcast, a YouTube channel, a strong presence on several social media platforms and an impressive past and future list of speaking engagements, Pat Flynn definitely walks his talk when he advocates the ‘Be Everywhere’ philosophy of brand promotion. And despite what he may say to the contrary, Pat CLEARLY has more hours in his day than the rest of us stuck with a mere 24. So how can writers reasonably apply the idea of ‘being everywhere’, without the gift of Pat’s super-human powers or time-bending skills? Be everywhere relevant, and do it over time. Don’t expect that you can go from relative obscurity to tracking famous on all fronts within a few weeks or months. Are there exceptions? Sure, but rarely do ‘overnight successes’ happen overnight. Lucky breaks happen to those who manage to get themselves into the right place at the right time, but in most cases, successful people have paid their dues. We just weren’t interested in their rise until they became big enough to be envious of. Many internet marketers urge new bloggers to ‘niche-down’ and look for a small subset of a market to target. So for example, if you were a garden industry professional interested in starting a website, you would not choose ‘gardening’ as your site topic, but perhaps ‘container gardening’. For some authors who write only for one specific genre (say, paranormal romance), this advice may work well. It can also work well for freelance writers who choose to specialize in a particular area, like web writing. However, for multi-genre authors or for freelancers that have a broader résumé, pigeon-holing into one niche is difficult. Unless you want to run multiple blogs or sites (Pffft! Not if I can help it! ), a niche website may be too narrow. Too small a niche may also not be sustainable long term, and can make it difficult to generate a significant enough blog audience to promote continued growth in your business. Here’s a post by super popular writer and blogger, Leo Babauta, on destroying the myth of niche blogging and growing a huge readership. Despite the prevalence of this myth,there is no special code or secret handshake; no shortcut or one-path-fits-all. The ‘secret’ that the popular authors and bloggers are hiding is this: it takes hard work, consistency and the ability to act even when they don’t feel ‘ready’ (I don’t have a website, I don’t have enough subscribers, I don’t have enough money, I don’t have enough readers, I don’t have enough knowledge…). Start applying what you know, learn from your mistakes, invest in yourself and your writing career and learn from those who have accomplished great things. Force yourself past the inertia by taking a step forward. Then work to keep the momentum going. Still not convinced? Try this post by author, speaker and entrepreneur, Jonathan Fields: Because That’s What Pro’s Do. Have any of these myths reared their ugly head during your attempts at building your blog audience? What other urban legends, untruths or misguided advice have you heard that has hindered your blogging growth? Or are you finding it difficult to tell truth from legend? I would love to hear your experiences, so please leave your comments below. Thanks, Linda! Glad you enjoyed it! Love this, Kim! So very useful. I felt a sigh of relief when I read #2. Kim, I enjoyed this article. Keep writing. It’s fascinating to me, the depth of connection that you can make with people from all over the world when you blog. You can share your thoughts, ideas and views, and like you mentioned, people respond. Blogging is an amazing vehicle for getting your message out into the world, and the more engaged your fans are in the ‘behind-the-scenes’ stuff, the more invested they are in the success of your writing projects. Great advice – and as usual… great resources and references. I always enjoy your posts and get something out of them, Kimberly! I have been blogging since March and I find that keeping a balance is the most difficult thing for me. I have all sorts of writing, in several genres, but the one I have focused on getting published is a 3-part memoir. That can be personal, while I know that I need to maintain a professional persona to sell books. When I need a grief break from writing or posting about the memoir, I fall back on my photography, resource lists for writers, resources dealing with death, dying and grieving and some day-in-the-life posts. It still feels too scattered to be considered professional. I guess it matters what you want to sell. I admire you, Joanna, Joel, Jane , Pat and the like, but I just want to write and sell books to entertain, not to teach others how to sell. I’m not even certain what my question is. These are just some of the thoughts that came up from reading your post. I hear you, Patti. When I first started blogging, I also cringed at the high-pressure sales tactics of some popular bloggers. And it took me awhile to settle in to my own online style and to know that I didn’t have to be a snake oil salesmen to be an effective marketer. The 2 key things to remember are these: stay authentic and surround yourself with like-minded people. 1) Authenticity: Don’t try and fake it. Just be real. People will respond if you’re genuine – even if (especially if) you’re not perfect. That’s probably where you are feeling a disconnect with the super successful bloggers: they seem perfect, and perfection is inaccessible. 2) Environment: Don’t try and fit in with the ‘it’ crowd. Make sure that the people who’s content you read, the people you network and connect with online and off, the people who you allow to influence you, are people that you respect and fit with your way of thinking. ‘Professional’ doesn’t mean stiff or boring (well, at least not for us writers 😉 ). Think of professionalism as that line between what your best friend knows about you, and what the rest of the world should know. Share your personality and have fun! If you don’t want to teach others how to sell, don’t. Find your readers and give them what they want – which is, ideally, what you are happy to give. Hope this helps, Patti! Good luck! Thank you, Kim. I appreciate the thoughts. Reading over your 2 key things, I do feel that I am essentially on track. Your welcome, Patti! Glad to help! Wow! Wish I’d read this post many years ago! You’ve confirmed many of the “truths” it has taken me awhile to figure out. This, along with assembling a great list of links to resources, many of which I agree with, many of which I have not seen before makes this post one I will link to help others! Hey Kim, this was super useful! I used to think #8 was true, then realized you won’t get any followers until you have good stuff. and just because it’s older doesn’t mean it still can’t be shared on social networks, especially Pinterest. So true. In-depth, pillar posts tend to be shared more readily than others on social media, and repurposing older (but still relevant) content is also a great way to get more traction out of each post. Great information.! I’ve tweeted and included your article on my Pinterest board. Fantastic, Kathryn! Glad you liked it and felt it worthy of sharing! You gave me some new things to think about with this post, thanks! And I couldn’t agree more with #2. Successful bloggers work tirelessly on promoting their content. Sometimes I can’t believe just HOW much time some are able to dedicate to promotion. Too true, Kerry! Blogging is not for the feint of heart, but it can be very rewarding for those who stick with it. Well, there you go again, Kim, writing a post overflowing with great information! These are all essential things for bloggers to be aware of. I sometimes succumb to #4 and think ‘I have this many subscribers now but I really want THIS many before I take my next step.’ Funny how nothing ever happens (other than getting more subscribers) when that’s your only focus. Subscribers are wonderful but, as you noted, it’s the connection with them that is so important. I’m with you on #4, Bobbi! It’s just too easy to get pulled into the seductive lure of more traffic and more numbers. And it’s a great way to avoid taking action on activities you’re less comfortable with because you can keep jacking up the (imaginary) number you must hit before you: write an ebook, create a course or product to sell, guest blog for another site, reach out to popular bloggers, and so on. Corbett Barr recently wrote a post entitled Celebrate Small, and it’s a great reminder of the impact you can have while on your journey to ‘big’. You got it, CJ! Your goal is to find those things that make the biggest impact with the least amount of effort. The key to making this easier on yourself, is to know exactly who you’re trying to reach. Find them, and you’ll know how and where to spend your limited marketing time. Thanks for all the info. I definitely know all those “myths.” I like the 80/20 rule and will rework my thinking to create awesome posts! I just stumbled upon this blog and I’m amazed at the wealth of useful information in general, and on this post in particular. I’ll be probably be coming back to re-read it over and over. I’ve also added your link on my (renewed) blog. Thanks, Kimberly! Great information, treated in depth, presented entertainingly – Kimberley, you definitely walk the walk! Thanks a bunch, Ti! I know these myths have tripped up more than a few newbie bloggers, and with so much information coming at us, it gets difficult to tell fact from fantasy after awhile. Good for you if you’ve mastered the ‘be everywhere (that matters)’ concept – it’s a slippery one!